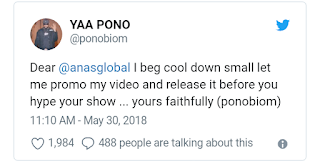 Popular Ghanaian hiplife artist, Yaa Pono has sent a request to the ace journalist, Anas Aremeyaw Anas to consider a change of date for his new exposé set to be premiered on 6th June and 12th June. Anas latest corruption Exposé which he has named “Number 12” IS focus on corrupt activities in the Ghana Football and politics. Already the President of Ghana Football Association, Kwesi Nyantakyi has been arrested by the CID following a report by the President that Kwesi Nyantakyi is using his name to extort money from potential influence after he watched excerpts of the yet to be premiered video. He has since been questioned granted bail. Kennedy Agyapong has equally launched series of attacks on the ace Journalist. According to him, Anas’ modus operandi is wrong because he lures his victims into his trap. He has even shared photos of Anas’ real to expose him to his next potential victims. Although one vide turned out not to be him, the other picture has been confirmed by multiple sources as Anas. 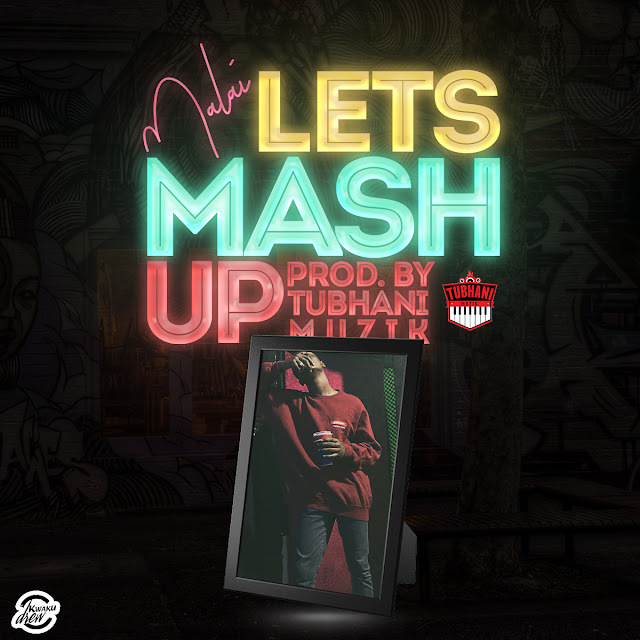 But Anas according to his PRO Abdul Malki Kweku Bakko is bent on premiering the video come 6th June. But Yaa Pono is begging him not to. 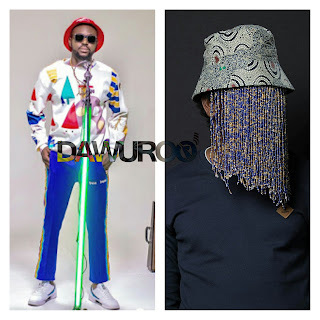 According to Yaa Pono, he is about to promote and release his music video but Anas has taken over all the media and his promotion is practically now working. He took to Twitter to beg Anas to postpone his premiere for him to enjoy the media hype and release his video before he shows the exposé.